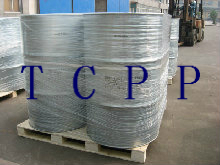 Tris2-chloropropyl phosphate price - ZhangJia Gang YaRui Chemical Co., Ltd.
Our company's Tris2-chloropropyl phosphate TCPP price with three phosphorus oxychloride and epoxy propane price at any time the market changes, such as the need to understand the price further, please contact our customer service. Our company provides export grade Tris2-chloropropyl phosphateTCPP you the best quality, the products are mainly exported to Japan, South Korea, the main export markets, Thailand and other Asian countries. Tris2-chloropropyl phosphate TCPP price the validity of our company are normally for 15 days, as the market changes, we will inform the customer, strengthen communication and trust each other. If Tris2-chloropropyl phosphate price product is not what you want, we can be customized according to your needs, please send us your order to Email: sales@yaruichem.com , or click here to post your buying lead.